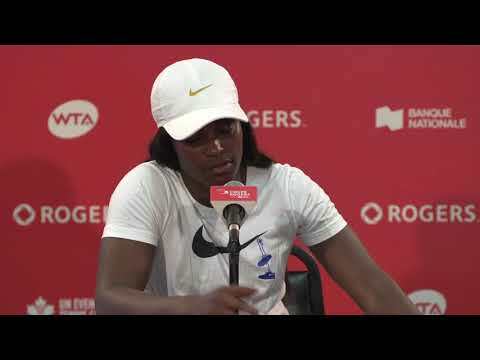 On Friday morning, Françoise Abanda woke up thinking she’d be playing in the Rogers Cup qualifying event and have to fight her way into the main draw. But she may have stumbled upon a four-lead clover, a horseshoe and a rabbit’s foot at the end of a rainbow. When Bianca Andreescu of Ontario pulled out of the tournament due to a back injury that stopped her in her tracks in her semifinal match at the Granby National Bank Challenger last week, Abanda took her spot in the main draw. 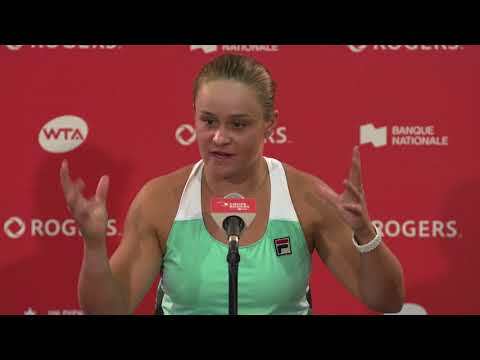 And when the draw was decided later that evening, fortune smiled on the Montrealer again: instead of facing a seeded player, she will be up against a qualifier in the first round. There are a number of interesting matches slated for early next week. The top of the draw is looking a lot like a group of death with players including World No. 1 and reigning Rogers Cup champion in Montréal Simona Halep, Maria Sharapova and Venus Williams. Over the next few days, 11 Canadians will play at IGA Stadium. Rebecca Marino, Gabriela Dabrowski, Carson Branstine, Leylah Annie Fernandez, Katherine Sebov, Isabelle Boulais, Catherine Leduc and Alexandra Vagramov will battle to join their countrywomen Abanda, Eugenie Bouchard and Carol Zhao in the main draw. Bouchard, who is currently ranked No.123, will face Elise Mertens (14), and Zhao, No. 138, is pitted against No.18 Kiki Bertens in the opening round. Rebecca Marino, who is slowly working her way up the rankings after reaching a career high of No.38 in 2011, impressed Lapierre at last week’s Granby National Bank Challenger, where she reached the quarterfinals.